Kayaks are still a fairly new entry to the duck hunting market, although given their many advantages over traditional duck hunting set-ups, they are catching on very quickly. A number of kayak manufacturers have begun designing some awesome ready-to-hunt duck kayaks, complete with all the accessories you will need to start duck hunting from a kayak this season. Kayaks have exploded in the fishing world, and duck hunters too can benefit from many of the same advantages. Cost: Kayaks are simply a far cheaper option than tradition duck hunting boats. Cheaper to buy, cheaper to maintain, cheaper to store, cheaper to transport, the list goes on. So whether you are looking to downsize from a larger boat, or are a shore blind hunter looking to cover more water, a kayak is the perfect middle ground. Ease of transport: No trailer to deal with, most kayaks can easily be car-topped by a single hunter. Can easily launch anywhere: Kayaks are incredibly versatile when it comes to launching. They can easily be car-topped, transported off-road where trailers can't go, and launched anywhere without a boat ramp. Can't drive close to the water? 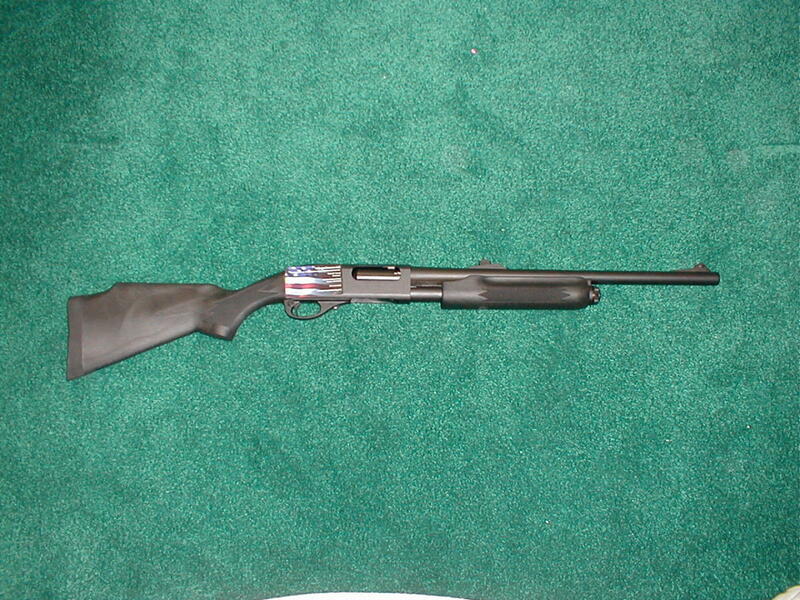 Either carry, drag, or roll your duck hunting rig to the shoreline. Quiet: No motor, no wake, no drum-like aluminum hull. 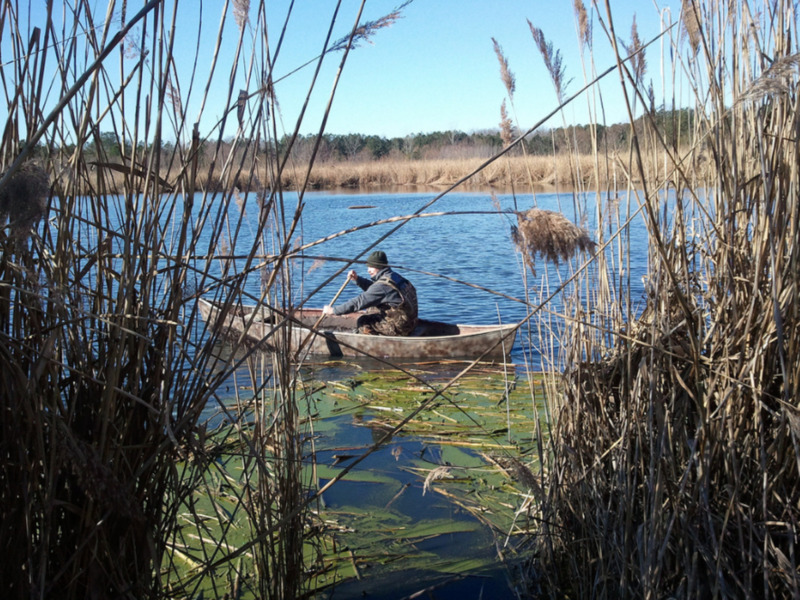 Kayaks are the quietest duck hunting rigs on the water. 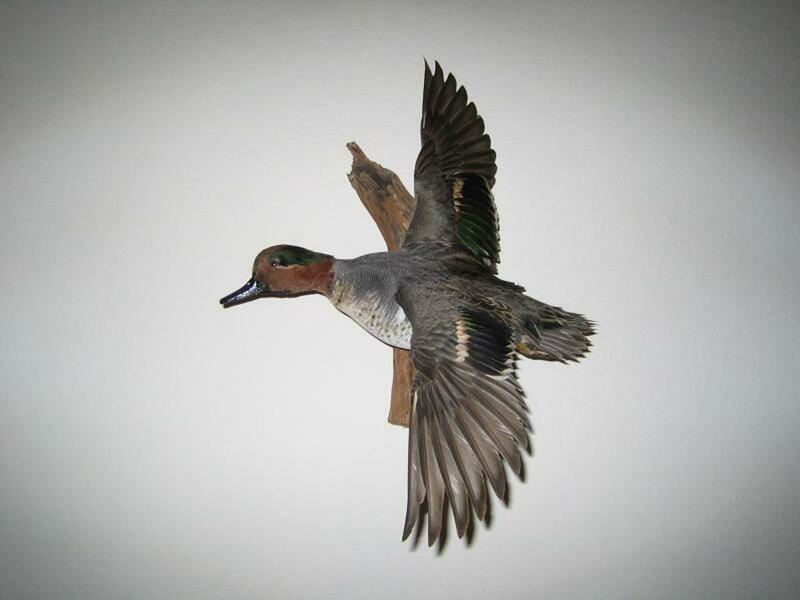 Relocating and resetting decoys mid-hunt is a breeze. Don't have a dog? Now you don't need one. You can easily retrieve ducks in deeper water without even getting wet. Have a dog? Even better! Many of the new models are designed with seats for your favorite duck hunting partner. 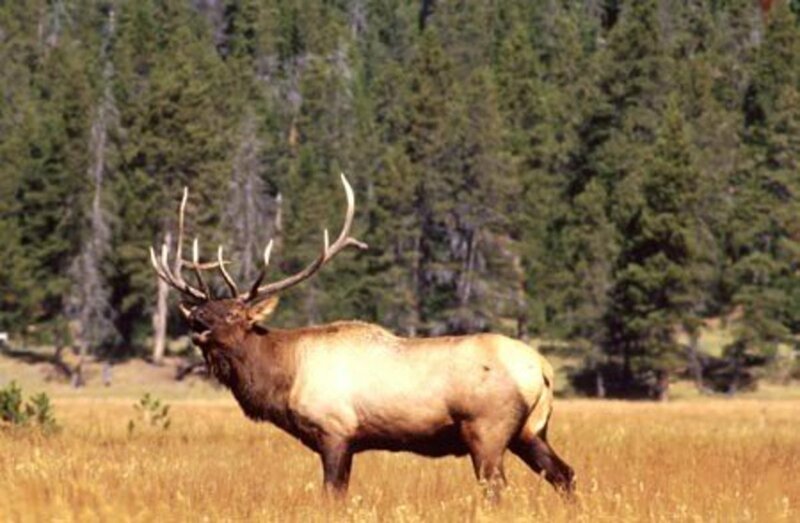 Hunting alone? 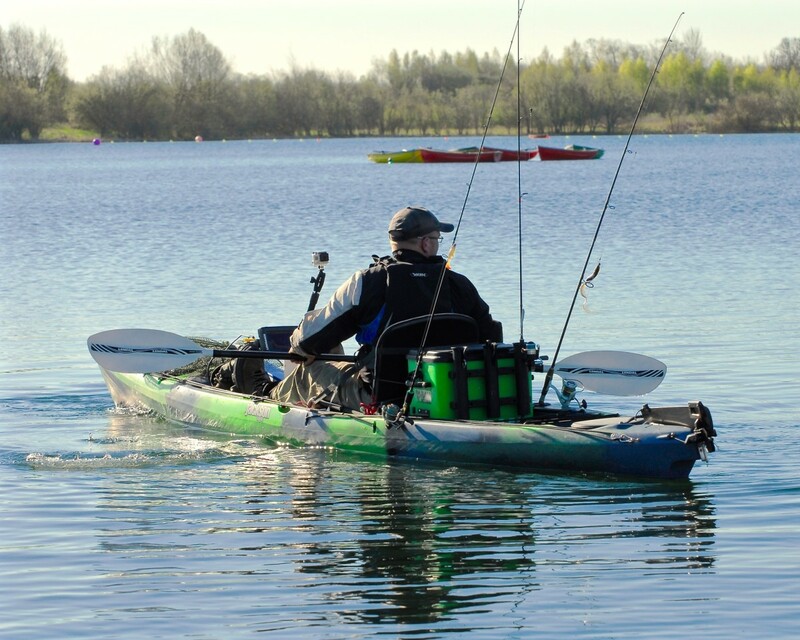 Kayak fishing rigs can easily be launched, rigged, and loaded back up on your own. Hunting with a friend? You can car-top two kayak hunting rigs, I've done it many times. Option two: check out tandem duck hunting kayaks. Customization: Many of the new models come with a variety of options, everything from shotgun rests to kayak specific duck hunting blinds. Accessibility: I have taken my kayaks places no boat could go, and paddled in further than most hunters would ever consider wading. Many kayaks can scoot along in as little as 6" of water, allowing you to cover and explore new areas. 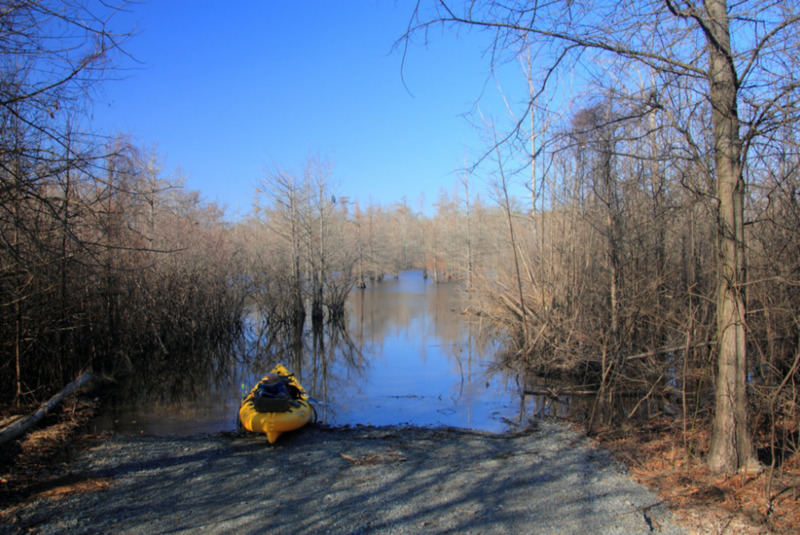 Paddling over Wading: Do you really want to slog through knee-deep muck? Versatility: Even when it's not duck-hunting season, kayaks double as a great fishing platform: something you can't really say for most duck boats. 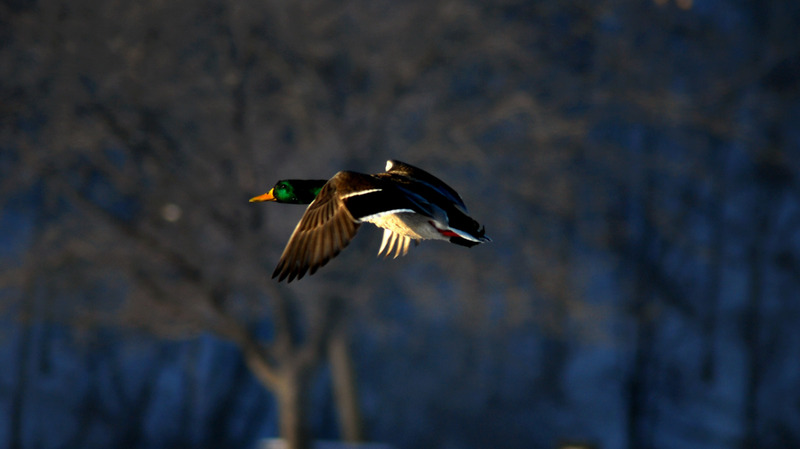 How do you do most of your duck hunting? 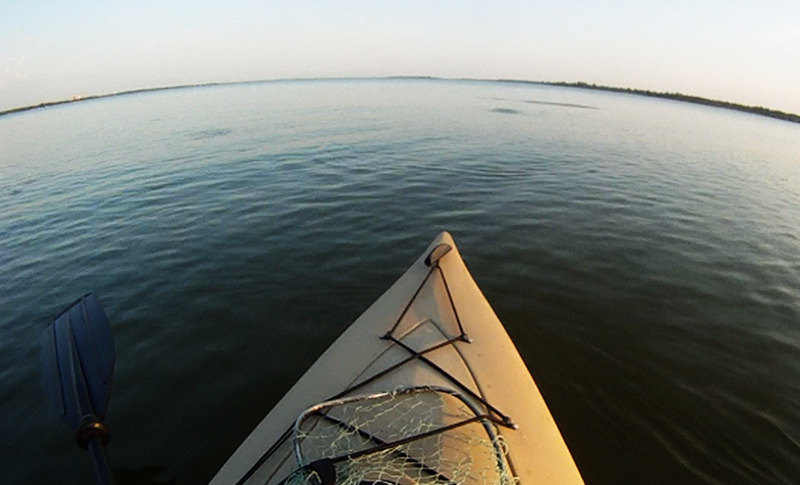 Option 2- Floating Layout Blind: This is where duck hunting kayaks really stand out (or for that matter, blend in). With fairly minimal effort, duck hunting kayaks can easily be turned into agile floating laydown/sitdown duck blinds, while still affording plenty of space for gear transport. No need to get out of the kayak, just drop your spread and drift into the nearest vegetation and you're all set. Fully rigged kayak duck blinds are the future of duck hunting. 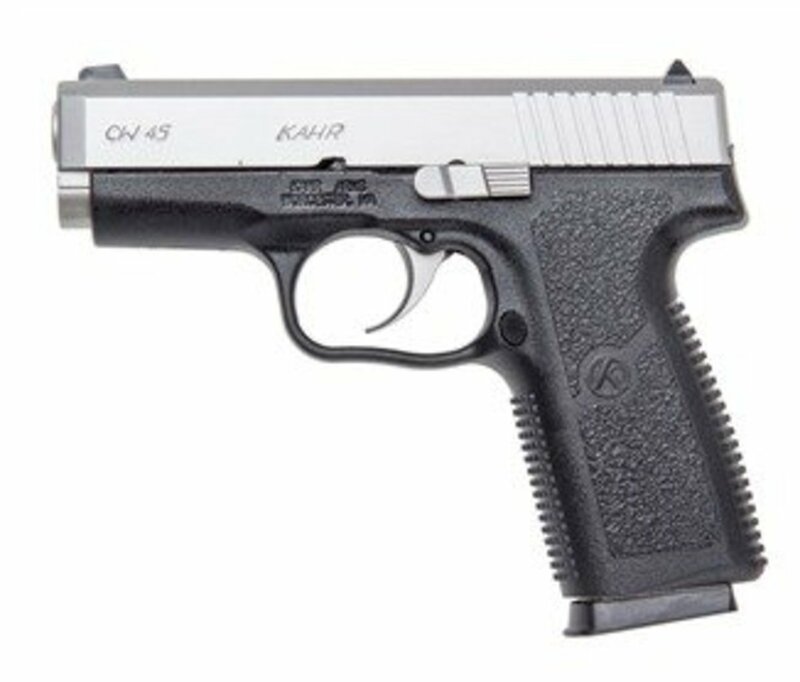 Option 3- River Float and Jump Shooting: Kayaks make great river float and jump shooting boats since they drift silently downriver and can be loaded and unloaded at bridge crossings and roadside pull-offs without needing to plan around boat ramps. Of the four options, this will involve the least amount of kayak customization. Option 4- Jump and Set: One especially effective system I've used when kayak hunting for ducks is to paddle slowly through backwaters, or drift slowly down a river until you jump some ducks. The key here is to be moving very slowly when you spook them. Just let them flush. Don't worry, you'll get a better shot later. At this point, select a makeshift blind location an appropriate shooting distance to where the ducks flushed from. Setting a small spread of decoys nearby is optional. If you opt to set out some decoys, move quickly. Then just wait. If you were careful when the ducks initially flushed, they will very often circle back to the same spot. Now you'll have a much better shot. 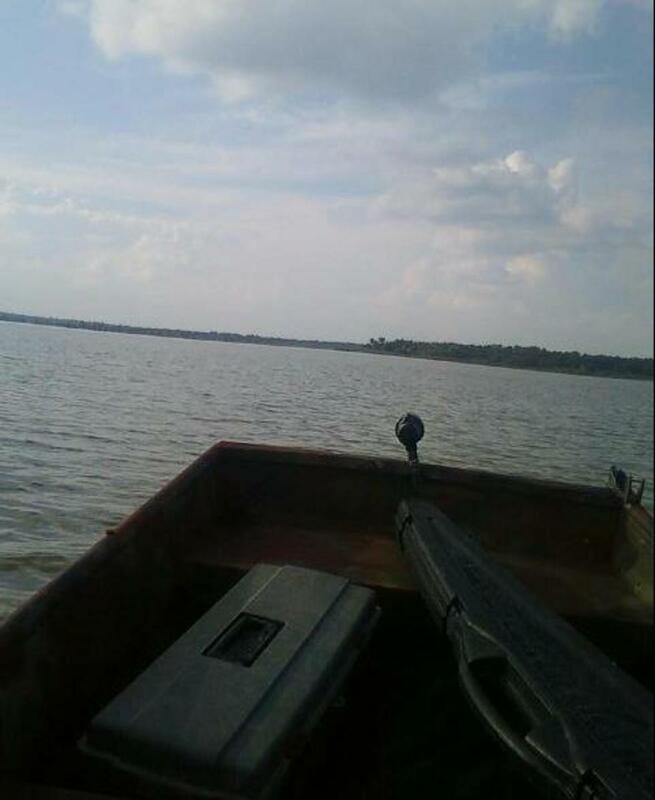 After shooting, paddle on to the next spot, they won't be back again. If you're thinking about getting into duck hunting from a kayak, or just trying to give yourself an edge on short solo duck hunting trips, there are plenty of capable kayaks that can be rigged on the cheap. Depending on where you live, you can find small used kayaks on craigslist for $100 - $200, maybe cheaper. All that really matters is that it floats; the rest is up to you. Load it up, pick up a couple cans of matte camo spray paint on the way home, and get artsy on it. If you're willing to spend a bit more money for a bit more versatility, I suggest looking at entry-level fishing kayaks. Since kayak fishing has already caught on, bargain-level manufacturers have entered the market, which means a cheap new kayak for you. Fishing kayaks will have many of the same features you're looking for: sit-on-top design, great stability, and plenty of storage options. Sun Dolphin and Lifetime both make a series of entry-level fishing kayaks which easily double as awesome duck hunting platforms. So you've decided to leave the old boat at home, or even put it up for sale, and make the jump to duck hunting from a kayak. You want the real deal. While I've hunted from a number of kayak models, hands down the best duck hunting platform I've used is from NuCanoe. The amount of planning and thought put into their kayaks, along with the extensive list of duck hunting accessories specially designed for their line of boats, makes NuCanoe the top-of-the-line duck hunting kayak. Extra-Comfy Seating: The seats are honestly like no kayak seat you've ever experienced. I've never been so comfortable while duck hunting. It almost felt wrong. Unbelievably Stable: Standing up and shooting is no problem at all. Large Storage Hatch: Quickly load and unload all your decoys and gear while on the water. Model-Specific Customization: Easily get your kayak rigged with either a sitting or layout duck blind, camouflage seat covers, and shotgun mounts. My only complaint with the NuCanoe kayaks is the weight. As far as kayaks go, they are one of the heavier ones out there. With some models weighing in at over 80 lbs, weight is worth considering, depending on how you plan on transporting it. Wheels are another available option.